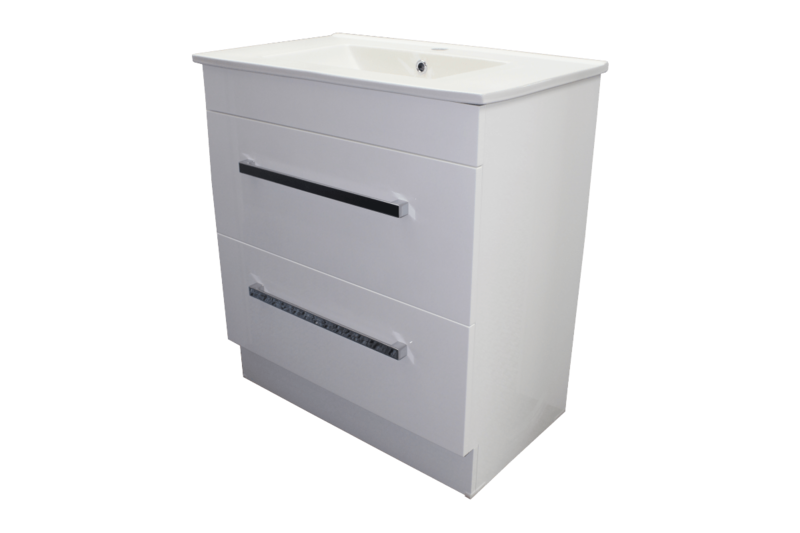 Floor Standing Strata 750mm is a well made vanity with 2 drawers ideal when you are replacing a vanity with the waste going through the floor. 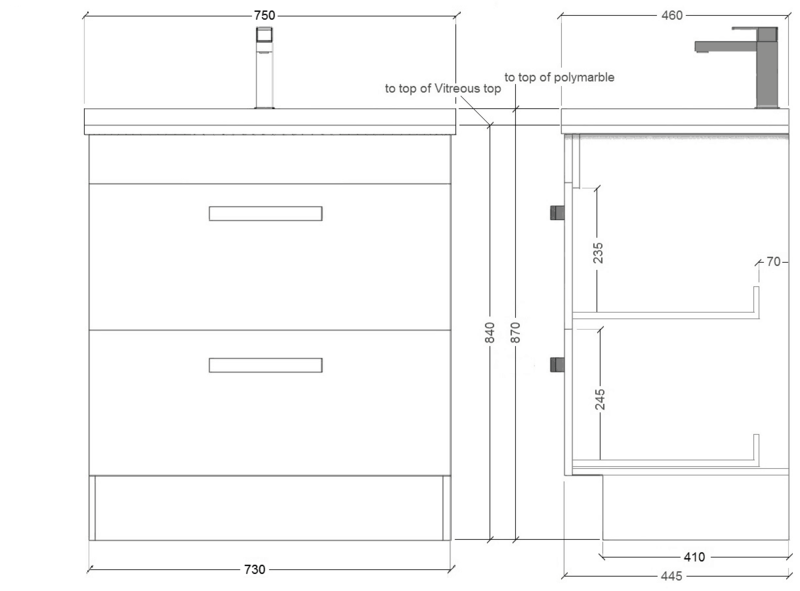 Solid Floor-Standing Vanity, 2 large Drawers. 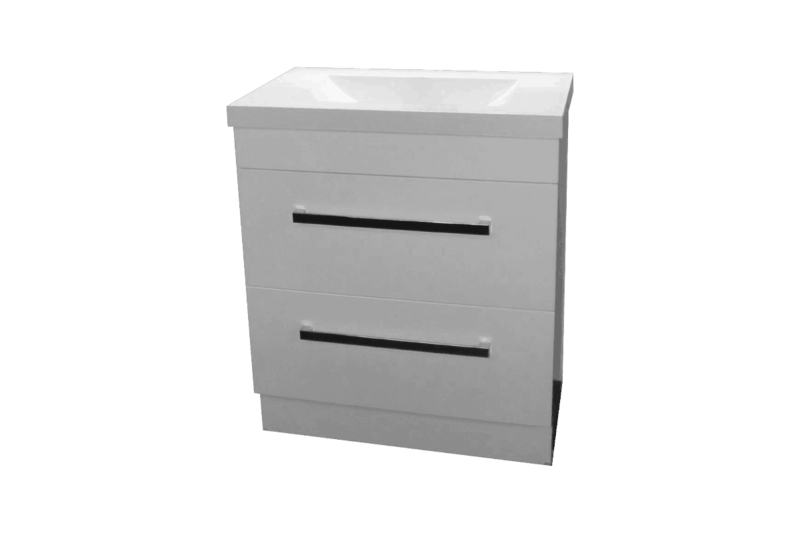 Henry Brooks Strata “Duo” Floor Standing Vanity features a cutting edge ultra clean look with double drawers that offer a huge amount of storage space. 16mm thick backing board, ultra modern bar handles and soft closing mechanisms. 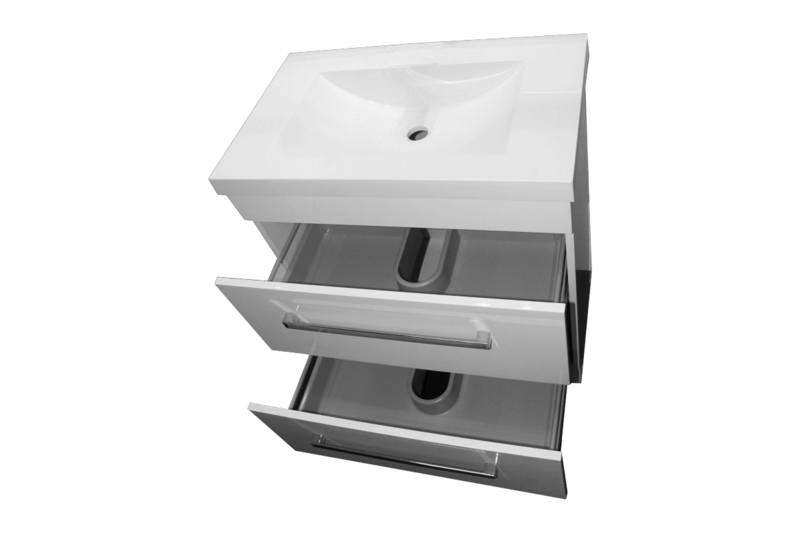 Available in standard white only, this vanity will be the perfect addition to your bathroom. Vitreous China & Polymarble tops available. 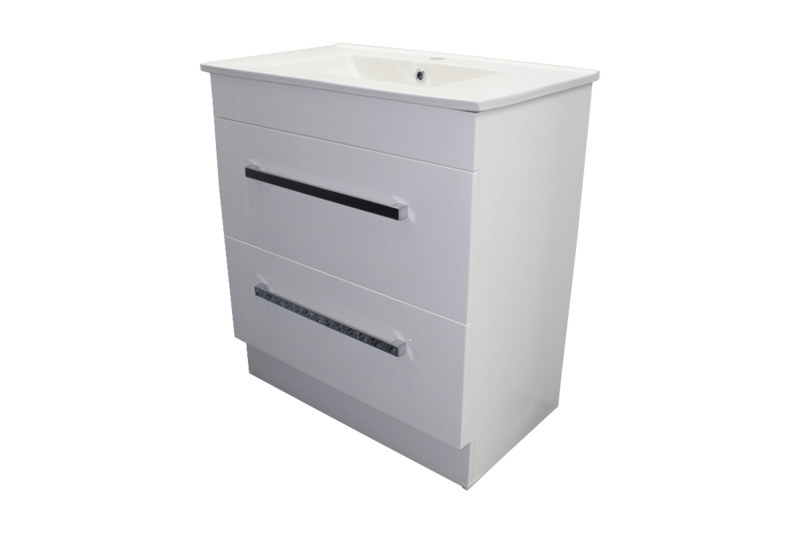 Modern 2 drawer vanity giving plenty of storage space, with a choice of 2 different stylish vanity tops. Detailed with stylish Bar Handles and Lacquered White Paint Finish.